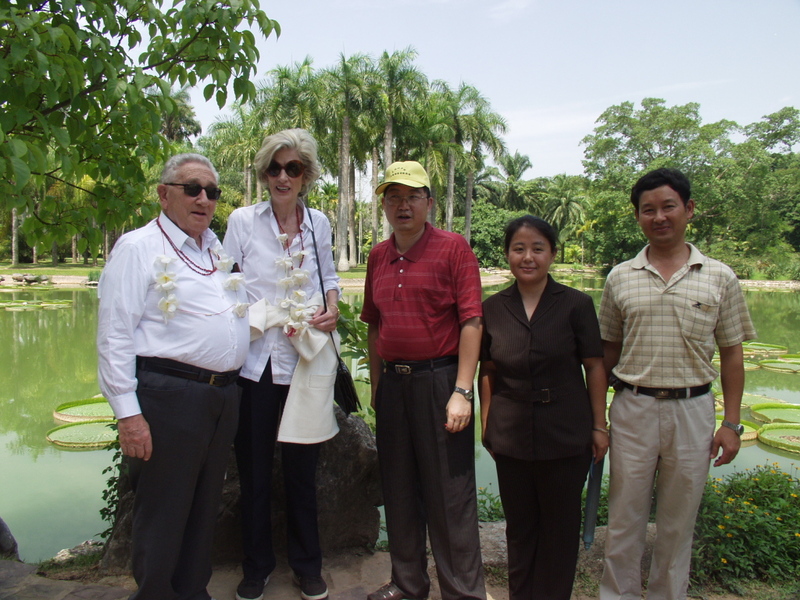 Dr. Henry Alfred Kissinger, the former US Secretary of State, made a courteous visit to the botanical garden on May 13, 2005. After a welcome ceremony, Prof. Liu Hongmao, Director of the XTBG, made a brief introduction about the garden and accompanied Dr. Kissinger to visit some collections within the garden. A memorial tree, Michelia balansae, was planted by Dr. Kissinger. Dr. Kissinger highly praised our work on public education. When in the "Tropical Rainforest Ethnic Culture Museum", he wrote "On every eve of my 40 trips to China I have learned something new. Thank you for educating my colleagues and me."